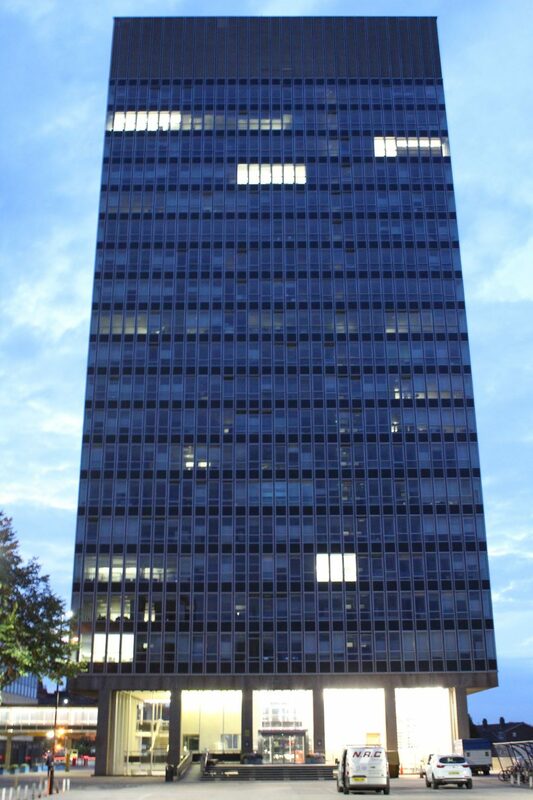 The University of Sheffield tasked NRC Services to deliver an improved lighting solution to the ground floor of the Art Tower. Due to there being a high number of Lighting failures, it was decided that it was time for a serious re-vamp. NRC Services cleaning division were the first on site to give the area its first deep clean in years! They removed and cleaned the old lighting diffuses, cleaned and polished the original marble walls, cleaned the glass and deep cleaned the mid-level perimeter radiators. Next in were NRC Services Electrical Division and Painting Division. 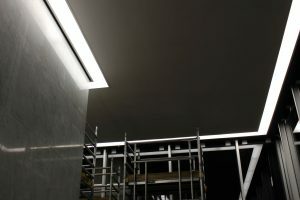 To really give the area a new lease of life, our Electricians began replacing the old, tired looking light fittings, for new Thorn LED Lighting. 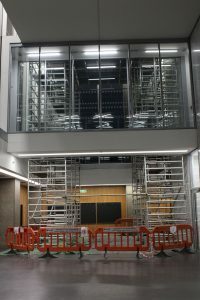 NRC’s Electrical division and Thorn Lighting are continually contributing to the improvement to many of Sheffield Universities buildings. NRC’s Painting division really pulled out the stops to improve the look of the area. 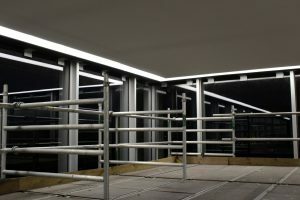 The entire ceiling of the ground floor has been given 2 coats of White Matt Paint, as well as a new coat of black paint to the shadow battens and window frames. 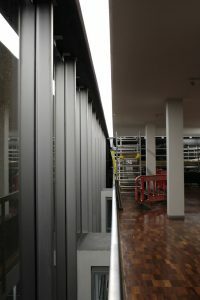 The contrast between the two really shows off the amazing architecture of the building. 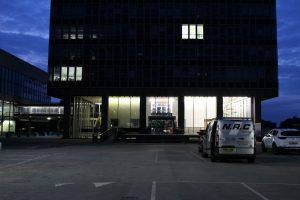 NRC Services always strive to achieve the best possible result, no matter how small or how large the project. 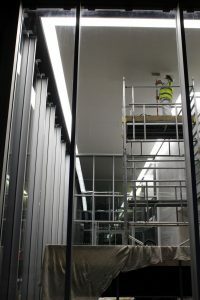 We knew this project would be a challenge given the time frame and access difficulties, however, we never doubted that we could complete the job within the time frame, and within Budget.